Wow, another year has gone by! Just like, that. New Year’s Eve has always been a time for looking back to the past, and more importantly, forward to the coming year. It’s a time to reflect on the changes we want (or need) to make and resolve to follow through on those changes. So, now what? What will become of this year? Are you one of the 45% of Americans that make resolutions? If you are, are you one of the 8% that are successful at achieving their resolution? I wouldn’t say that I’m someone who makes resolutions, but what I’m great at is setting goals, and not just at the beginning of the year, but every several months. What most people do not realize is that the power of goal setting lies in writing goals down. Committing goals to paper and reviewing them regularly gives you a 95% higher chance of achieving your desired outcomes. Studies have shown that only three to five percent of people in the world have written goals. It is equally essential that you develop a plan for your success and a timeline. Now, this isn’t something that I’ve always done. It has been taught to me by many business mentors, and as easy as it sounds, it works! Sometimes the hard part is to dig deep and really think about what you want. For some this comes easy, but for others, it can be a difficult thing to explore. Have fun with it. Involve your kids, your spouse, your besties, anyone that you have in your life. Dream again! Don’t hold back. So I challenge you, take this time to reflect, plan, set goals, write them down, create a plan of action, and be in the 8%. You deserve it! 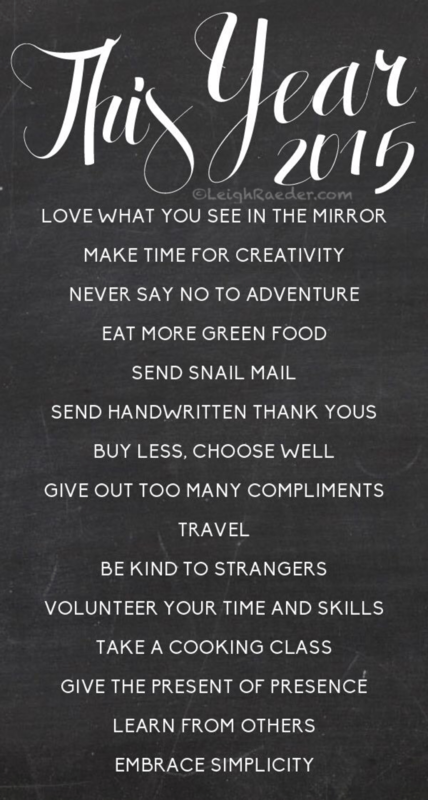 I’m excited for 2015, and I hope you are too!